Not everybody is comfortable in front of the camera, so we do a variety of things in our Madison engagement sessions to make them feel less self-conscious and forget we're even around. 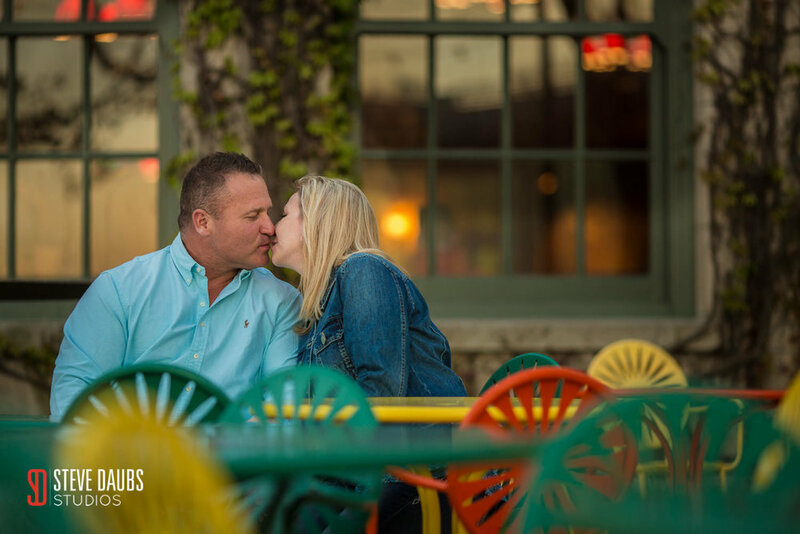 But that wasn't the case when we met up with MIke and Danielle to capture their engagement images in downtown Madison. Mike said simply, "this is me," when we went over wardrobe for the session, and that's exactly who we love to have in front of the camera. We don't really care what you wear, but we care very much that it represents your true self. We do give out a detailed wardrobe guide, though, and Danielle wasn't sure which of her many outfits would work best. In the end, she was most comfortable in jeans as well, and so we were off. Engagement sessions are about capturing what is unique about you and your fiance--the way you act together and the things you love doing. So it's most important that we go places that you love and that you simply be yourselves! Almost any location can help us produce great photographs so long as you two are being authentic and having fun. We spent a couple of hours hanging out, laughing and enjoying the beautiful spring weather in Allen Centennial Garden, on the lake at Memorial Union, and a final shot looking down State Street to the Capitol. Contact us to schedule your engagement session today!